Proven to remove 99.9% of microorganisms, can clean with or without chemicals, many color coded for specific uses, various grades and sizes. High quality microfiber cloths are durable up to 500 launderings, for maximum effiency. Use coupon code microfiber to receive $5 off $50+ on the following products. Heavy Duty, with Microban and the most durable. Clean up with Microban treated microfiber cloths. Unique fiber structure picks up and traps dirt more effectively than traditional cleaning cloths while absorbing up to eight times its weight in liquid! Color-coding reduces the risk of cross-contamination. Use wet or dry. 4 x 6 cloths per container. Large put up at a great value. Give your patrons a clean, germ-free environment with a microfiber cloth that removes 99.9% of microbes. 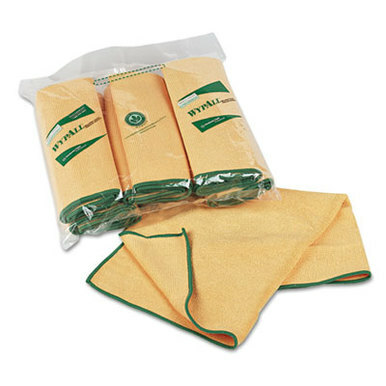 Microfiber cloths provide excellent cleaning performance on all surfaces. Good color selection, bleach safe and low count packaging. Microfiber cloths are made of the lightest weight material, yet provide thorough cleaning. Durable cloths stand up to 250 launderings. Conveniently bleach safe and washable up to 100 launderings with bleach. What is so special about microfiber cloths compared to regular cloths? 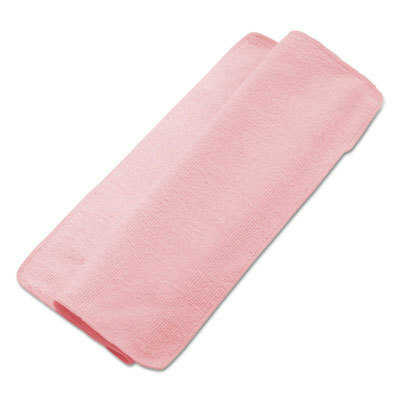 Microfiber cloth material is made up of millions more individual fibers than traditional cotton or blended cloth material – the individual fibers can be 10 – 50 times thinner than a human hair – made from a blend of plastics. With the increased surface area and the resultant special physical attributes the cleaning power of microfiber is enhanced. The dirt gets trapped and held inside all those fibers and held until laundered. Yes, microfiber cloths are antimicrobial and antibacterial. The better quality ones are more durable and keep their properties longer after laundering. They remove 99.9% of microbes with or without water or cleaners. They do not remove viruses as they are much too small. For a streak free, sanitizing cleaning use microfiber. Some like the Wipall brand have added Microban to the cloth that keeps bacteria from growing once inside the fibers. 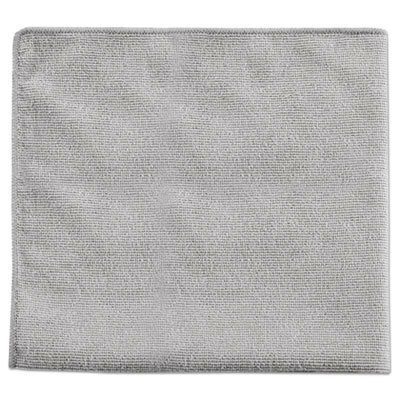 What are some common uses for microfiber cloths? Use microfiber cloths to clean glass and mirrors for a streak free result and no chemical residue left behind. These cloths are bleach safe and due to a variety of available colors you can code the cloths to be used in specific areas [ red for restroom ] in order to avoid cross-contamination. Green Cleaning is promoted as less or no harsh cleaning chemicals are required to get great performance. Tip: Never use fabric softners in the laundering of microfiber cloths as it limits their effectiveness.